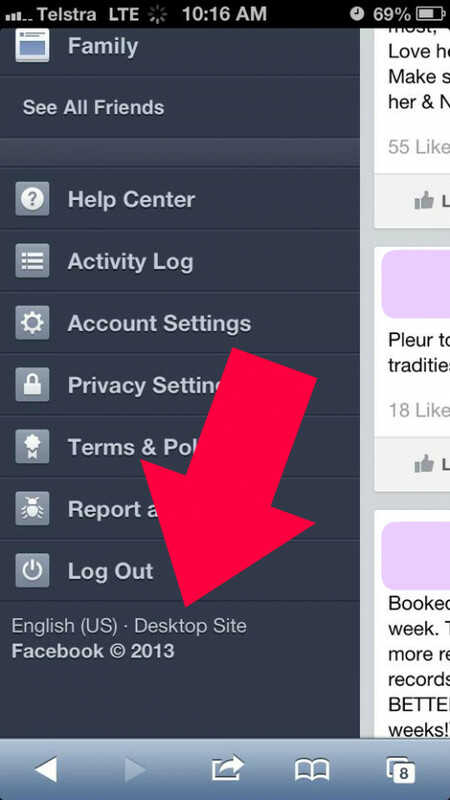 How Can I Access My Facebook Other Inbox On Mobile Or Smartphone? 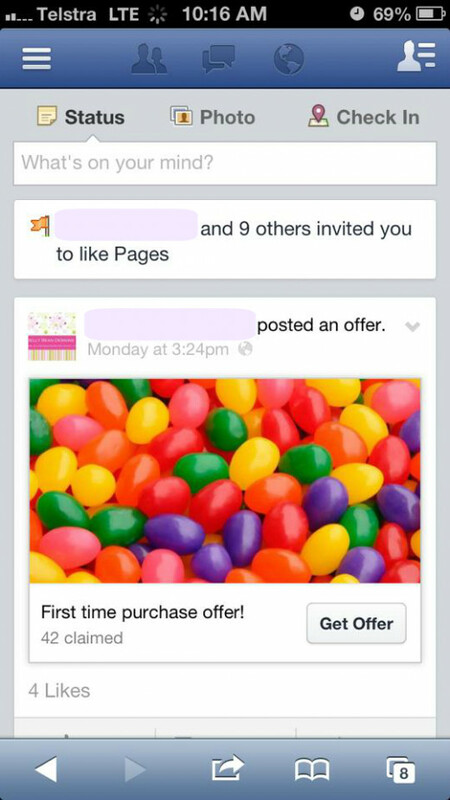 Facebook has hidden the OTHER inbox from both its mobile site and its smartphone app. Here's how to find it on mobile! A few years ago, Facebook began putting messages it classed as 'spam' or from 'strangers' into a hidden inbox called the 'Other' inbox. Unfortunately, it never advertised this, so many people still aren't aware of this. That means you may have dozens or even hundreds of messages which Facebook has hidden, from people you really DO want to talk to! 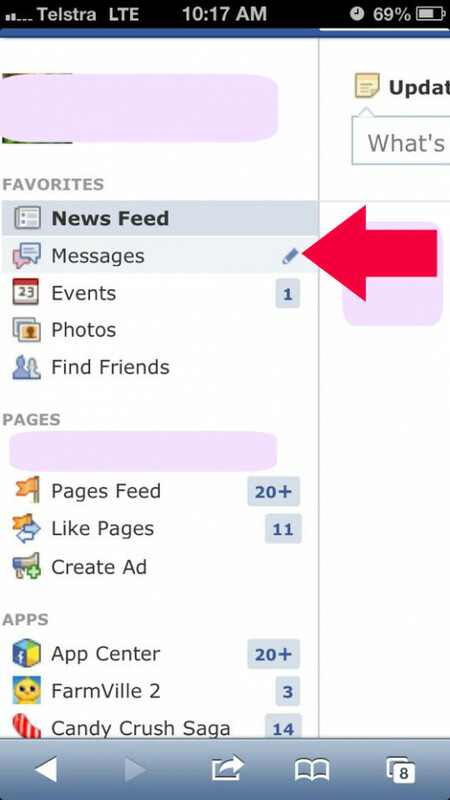 Another issue is that Facebook's mobile site and the Facebook mobile app don't show this box. This means that users who don't have access to a PC can't access these messages. However, there is a way around this. 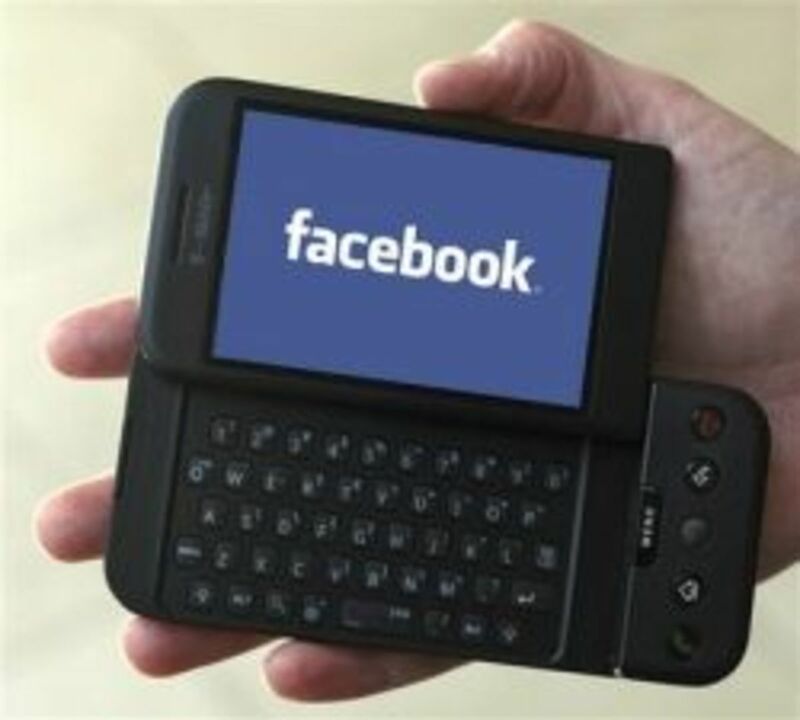 Read on to find out how to access your Facebook other messages on mobile. When Do Messages Go To The 'Other' Inbox? 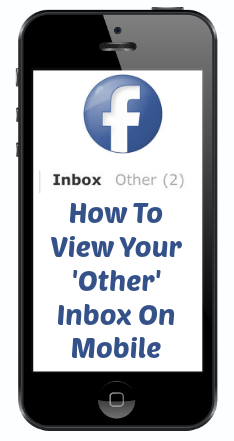 If you do not know a Facebook user, and they send you a message, it will automatically go to your 'Other' box. The only time a message will go to your main inbox is if you are friends with the sender OR you share mutual friends with the sender. Facebook has recently introduced a feature where it will charge a certain amount if you wish to send a message to a stranger's main inbox, and not have it get lost in their 'other' inbox. If you're fairly savvy with phones and the internet, this quick guide should walk you through how to find your 'other' box. Find 'Desktop Site' on the bottom of the menu and click it. Make the screen bigger so you can find your messages. Click on messages and then in the top box click 'Other'. If that was too basic and you're still a little confused, read on for a more in depth explanation and some pictures! First, go into Facebook using Safari. Go into your mobile phone internet browser and visit www.facebook.com. If you haven't already, login to Facebook using your current account details. The site you login to will probably look something like the image on the right. This is the responsive (mobile) version of the Facebook site, which appears differently than on your computer. The mobile version of the site doesn't display your other box. But we're going to show you how to get around that! Secondly, click on 'desktop site'. 2. Find 'Desktop Site' on the bottom of the menu and click it. 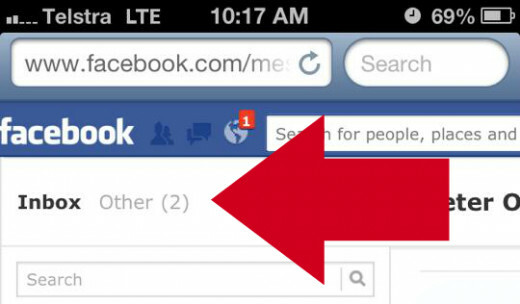 On the Facebook mobile site, you'll see a row of three lines at the top left. Clicking these lines will open up your main Facebook menu. You'll need to scroll all the way to the bottom of this menu by using your finger. In small print under the Log Out button, you'll see Desktop Site. You need to click this. A much smaller looking Facebook site will load. 3. Make the screen bigger so you can find your messages. 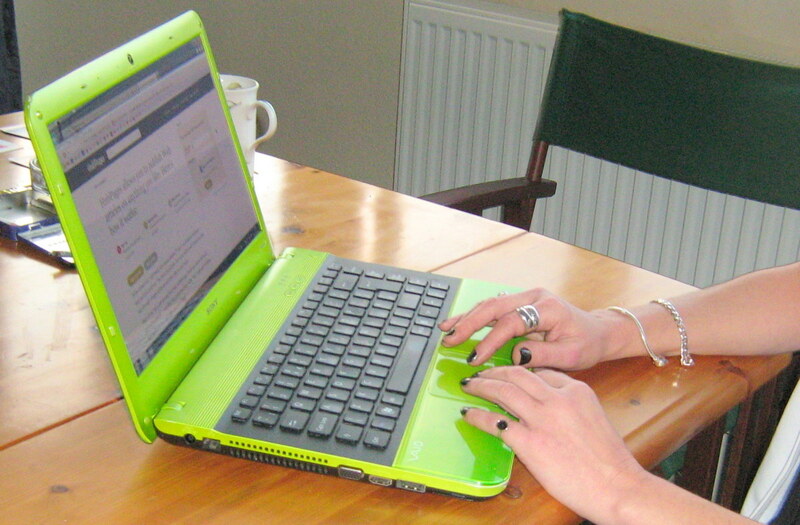 Place your fingers on the screen and slowly drag them apart, to make the site larger and easier to view or click. Third, go into your message inbox. 4. Click on messages and then in the top box click 'Other'. You can access your message inbox from the little message icon in the top blue bar, or from the messages section in the left hand bar. Once you are inside your message inbox, you'll see a pale grey 'Other' with a number beside it, showing how many messages are in your other inbox. Click on it to view them. Tip: If you reply to a message in your other box, it will automatically transfer the message into your main inbox, so you can access it via your Facebook app or the normal Facebook for mobile website (m.facebook.com). Fourth, go into your other inbox.